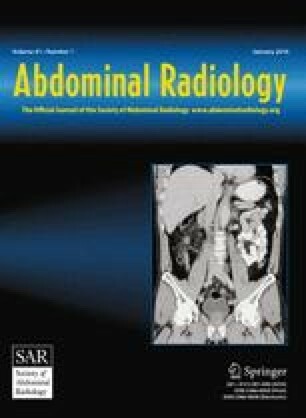 The sonographic and computed tomographic (CT) findings were reviewed in 17 patients with acute acalculous cholecystitis (AAC) over a 6-year period from 1984 to 1989. Of the six patients in whom both ultrasound and CT were performed, CT revealed marked gallbladder (GB) wall abnormalities, including perforation, and pericholecystic fluid collections in five patients not demonstrated by sonography. Of the total group, five patients had GB wall thicknesses of ≤ 3 mm (normal) at pathologic examination, which demonstrated a spectrum of disease ranging from acute hemorrhagic/necrotizing, to gangrenous acalculous cholecystitis with perforation. Sonography was falsely negative or significantly underestimated the severity of AAC in seven of the 13 patients examined by sonography. CT because of its superior ability to assess pericholecystic inflammation may provide additional diagnostic information even after a thorough sonographic study in cases of AAC.